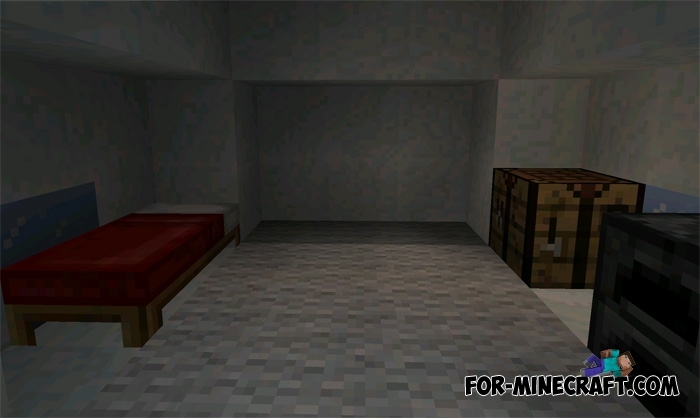 If you do not want to install any mods for MC:PE, and you need something really interesting then type this seed. You will find yourself in the middle of the beautiful winter biome where there is a small village. This biome will be useful to those who want to experience all the charm of winter right in the game. 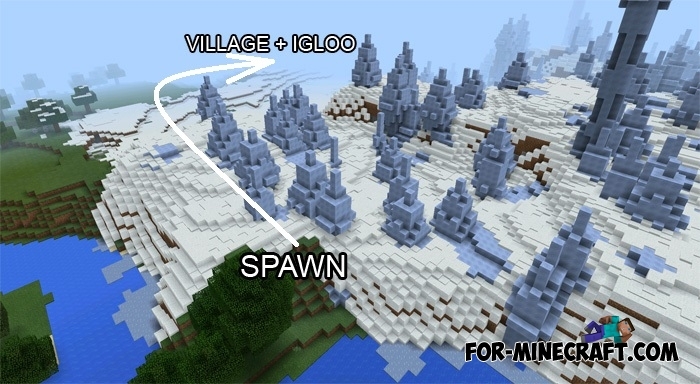 After the spawn you need to pass along the spikes, and you will see a small village inhabited by villagers. But this is no ordinary village because it was built near the igloo (see screenshots). 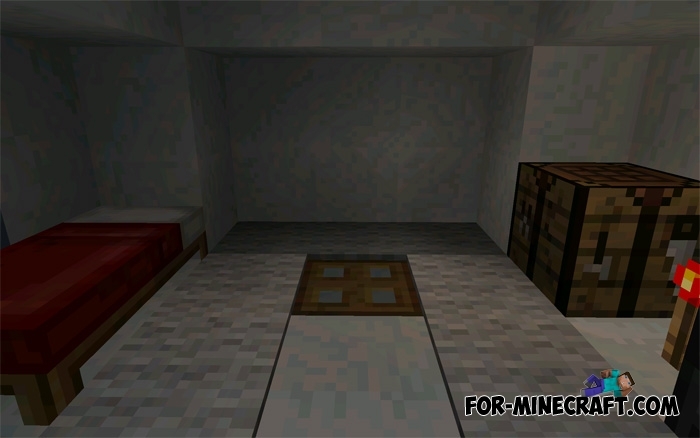 If you go inside you will see a small room which can be used as your new home. Be sure to break the carpet and go downstairs. There you will find a surprise :).